Squash season’s here, and so will be the neighbors, dropping them off on your front porch. 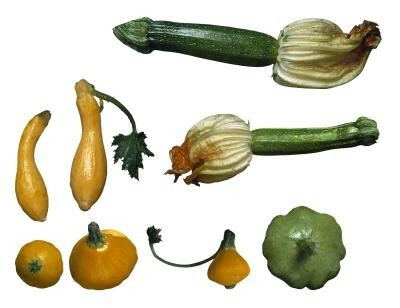 It’s OK; squash is a tasty, healthy, versatile vegetable (better than being gifted a gunnysack full of lettuce, right?). But still, it’s good to have some tricks up your culinary sleeve regarding what to do with it all. We all know that the mild flavor of most squash varieties makes them a perfect add-in ingredient to most recipes. Swap the usual eggplant in eggplant Parmesan for zucchini slices or grate your favorite kind of squash into pasta sauce for a quick way to add fiber, vitamin A and potassium to your meal. Then there’s adding grated or chunked zucchini to your tossed green salad. Salads, soups, stews, casseroles…it all works, and works well. And later on in the season, be sure to include cubes of butternut squash into your mac ‘n cheese to increase flavor and fiber. Or why not some cooked and pureed pumpkin added to your waffle, pancake, or muffin batter for a hefty dose of vitamin A? And seriously consider folding honey-sweetened pumpkin puree and fresh fruit into plain low-fat yogurt for a quick meal. 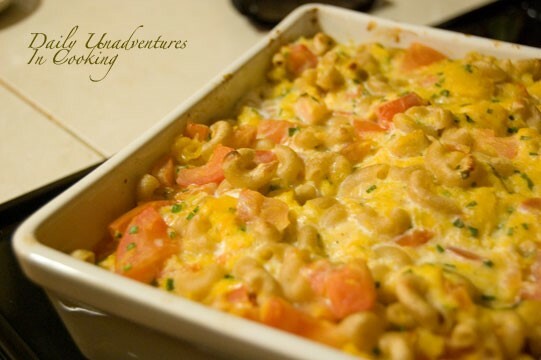 · Roast acorn squash, fill the cavities with pinto beans, onions and cooked potatoes (which add potassium to your meal), and smother the entire thing with green chile and sprinkle it with cheese. · Slice zucchini in half, scoop out the seeds and fill the cavities with a combination of bread crumbs, minced onions, chopped fresh basil, and halved cherry or grape tomatoes. 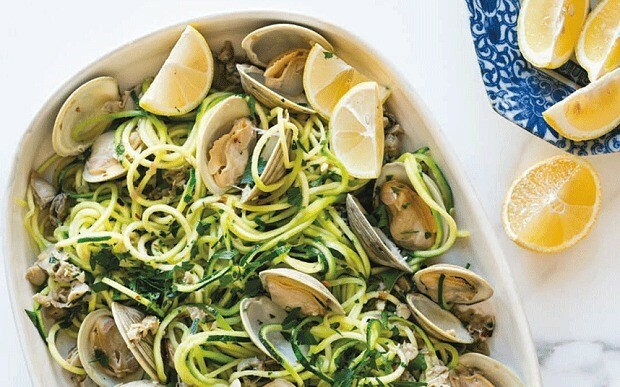 Sprinkle it all with grated Parmesan cheese. Bake the squash until it's soft and top the meal with tomato sauce and another sprinkle of Parmesan cheese. · Think beyond the fruit part of the squash, and stuff the squash blossoms with ricotta cheese, mushrooms and herbs; dip them in batter and fry them for three to four minutes. Drain the blossoms on paper towels and serve them plain or with dipping sauce, such as tomato sauce or reduced-fat ranch dressing. 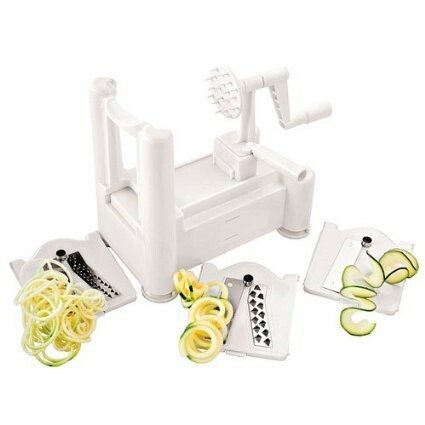 But when it comes to making squash (especially yellow and zucchini) as the star of the meal, nothing does the job better than a spiralizer. 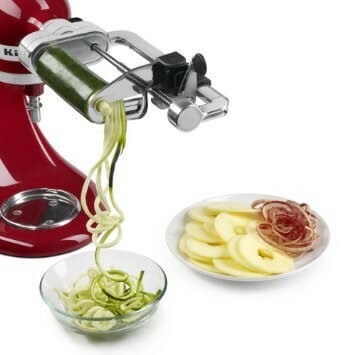 Originally a Japanese invention, the spiralizer is a razor-sharp cutting devices that creates thin ribbons of vegetable. These thin strands are substituted for spaghetti or fettuccini noodles—a tasty and pretty approach to getting more veggies into your meals. 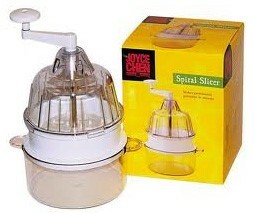 There are quite a few spiralizers out there so I wondered which one was best. The folks at America’s Test Kitchen answered my question. They tried a few, priced from $21.99 to $35.96. The ones they liked the best held food on prongs against a cutting blade while they turned a crank to produce flat ribbons or skinny, curled, and twisted pasta-like strands. They were sold on the largest model they tested, which had a rectangular 12-inch-long chamber. It rapidly and effortlessly produced mounds of long, thick or thin strands and flat, wide ribbons from vegetables up to 10 inches long (with practically no pre-trimming or waste). This winner, the Paderno World Cuisine A4982799 Tri-Blade Plastic Spiral Vegetable Slicer, comes with three blades and sets up in seconds. It transforms ordinary raw vegetables and firm fruit into something special. I found it on amazon.com for around $35. If you have a Kitchenaid mixer, then another option would be to get their spiralizer attachment, which runs around $99 (at that price I’d better be using this tool on a daily basis!). I have a spiralizer that I found at a kitchen specialty store a couple years ago, made by Joyce Chen that cost about $25. I use it a lot and love the gourmet touch it gives to so many foods. Spiralized carrots look really pretty in salads. And spiralized apples make a wonderful apple cobbler, crisp, and pie—it’s such a fun change from traditional apple slices. But back to squash. It’s the season, and what with all the neighbors growing them, it’s good to have a few meal and prep ideas up your culinary sleeve!